Staff Recommendation: Immersed in her work monitoring wolves in Idaho for almost ten years, Rachel Caine has distanced herself from her troublesome family. Now, hired by the Earl of Annerdale to reintroduce the Grey Wolf onto his Cumbria estate, Rachel comes back to reconnect with her past and to escape a looming personal decision tied to her Idaho life. 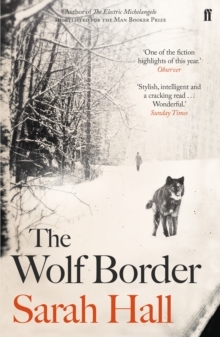 This is an engrossing novel in which Sarah Hall explores the tangled agendas and emotions around the reintroduction of wolves to the UK, weaving this interesting and timely subject into the lives of her vivid characters. The tentative and passionate ways in which people bond are beautifully evoked, and Hall writes powerfully about how we establish our pack, whether animal or human.